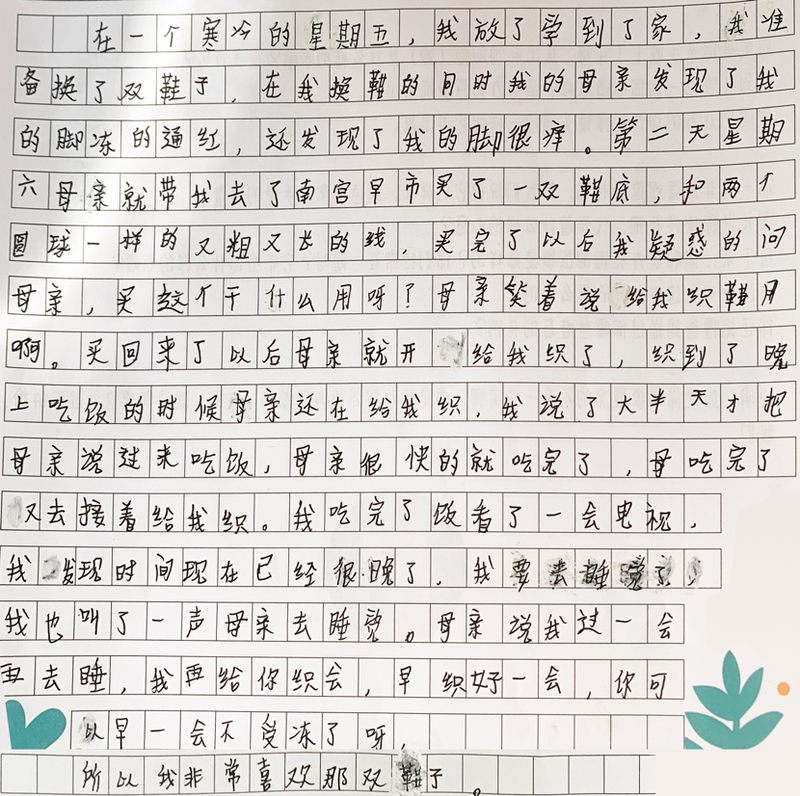 BEIJING — The class of fifth-graders at Minren Primary School has been asked to write about a gift their parents gave them. They have no idea they’re actually undergoing a therapy session. 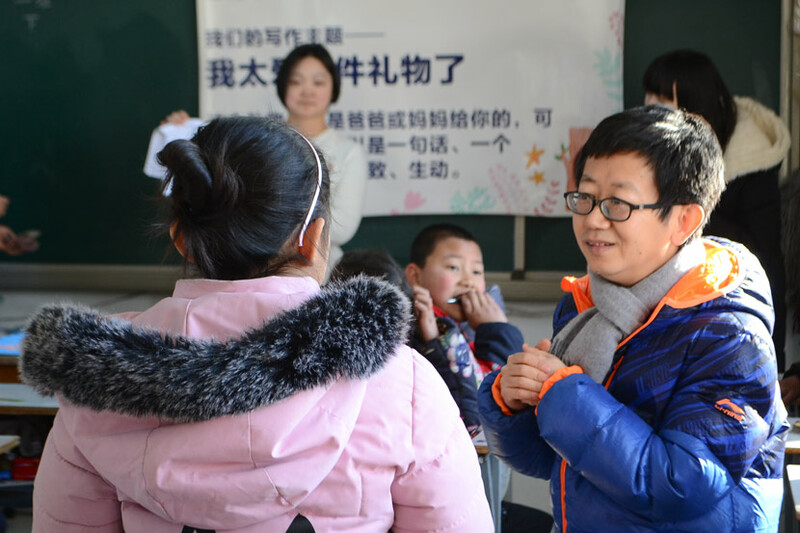 A placard pasted on the blackboard displays the lesson’s theme: “I love this gift so much.” Guan Jun, a Beijing-based nonfiction writer who is the instructor for this mid-December day, paces between the desks. “What you need to do is search your memory and tell the story,” he says in a gentle voice, making sure not to sound pushy. 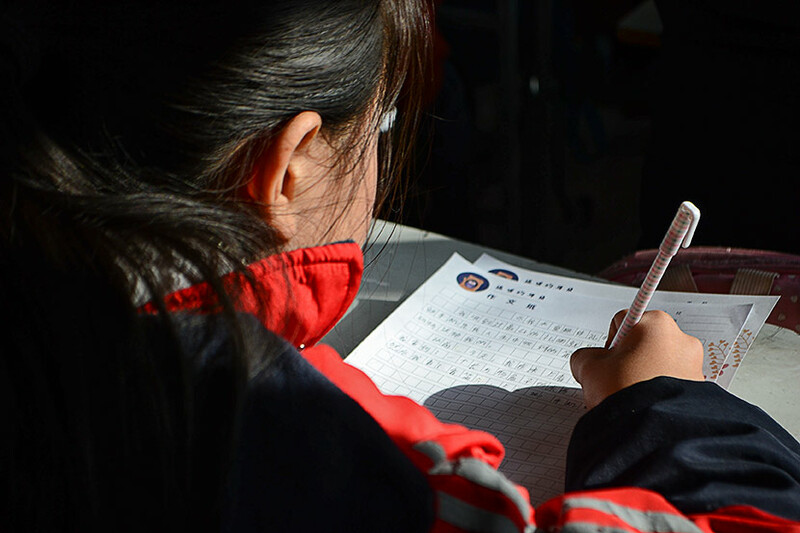 In June last year, Guan joined a writing program initiated by On the Road to School, a Beijing-based NGO that focuses on the psychological condition of left-behind children — those under 16 without adequate parental care because one or both parents live and work away from home. By August 2018, there were nearly 7 million such children living in rural China. In its annual psychological survey conducted among 11,126 left-behind children last year, On the Road to School found that 40 percent of them meet their father, mother, or both just twice a year at most. Such separation leads to negative emotions like anxiety and even resentment toward their parents. There are kids who have enough food and those who don’t. But do we have to wait and care about their [psychological] problems only when they have enough food? Armed with this formula, Liu and staff members contacted rural schools where a majority of students are left-behind children. Prior to the lesson in Beijing, they had two trial lessons in Jiangxi and Henan provinces, in east and central China, respectively. 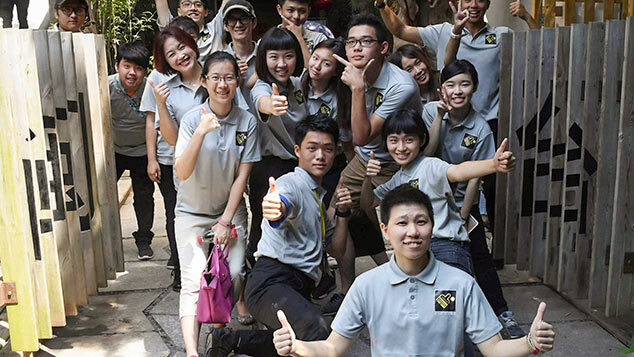 “The cost of giving regular writing sessions outside Beijing puts much financial pressure on us,” says Liu, who received 50,000 yuan ($7,400) in funding for the program from the Yifuze Foundation, which focuses on improving social equality in China. In the end, they chose two schools in the capital for trials of the regular writing lessons. 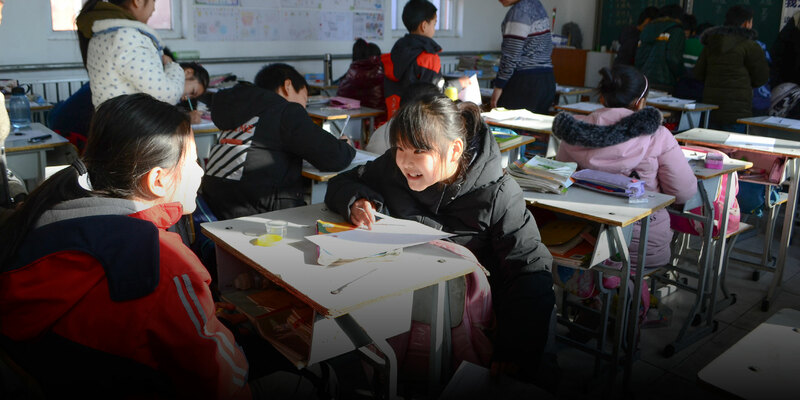 The students at Minren — a primary school in suburban Fangshan District in southwestern Beijing — are not technically left-behind children, but the children of migrants who have come to the capital for work. Like genuine left-behind kids, they have limited contact with their parents, who are busy making ends meet in the city, Shi says. 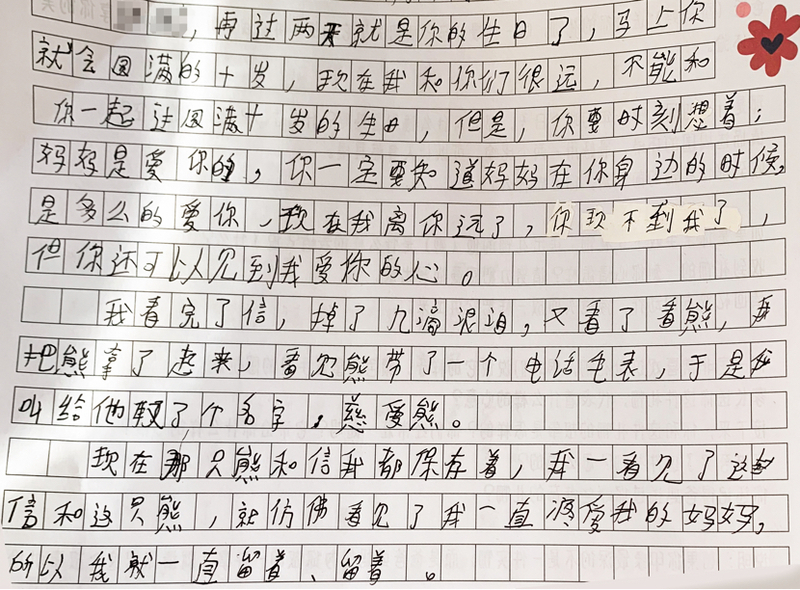 Among 31 students in a Minren fifth-grade class, seven live in the school dormitory and only see their parents once every month at most. 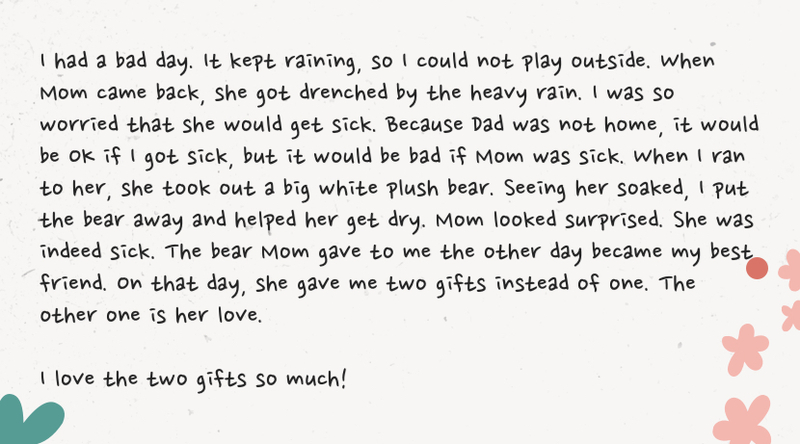 I asked [one boy] whether or not his parents talk with him every day. He simply said they are busy running a supermarket. Before they start writing, the students spend a while “warming up.” A girl at the back of the classroom centers the title on top of her notepaper, then stops to shape a piece of yellow playdough; the boy sitting next to her holds the paper up, staring at the instruction in a daze; at the front, two boys stand up, whispering to each other. Guan seems more relaxed when most students at the class finally quiet down and concentrate on their writing. In the winter of 2014, Guan spent 100 days in a remote town in northwestern China’s Gansu province to write a nonfiction work about left-behind children there. 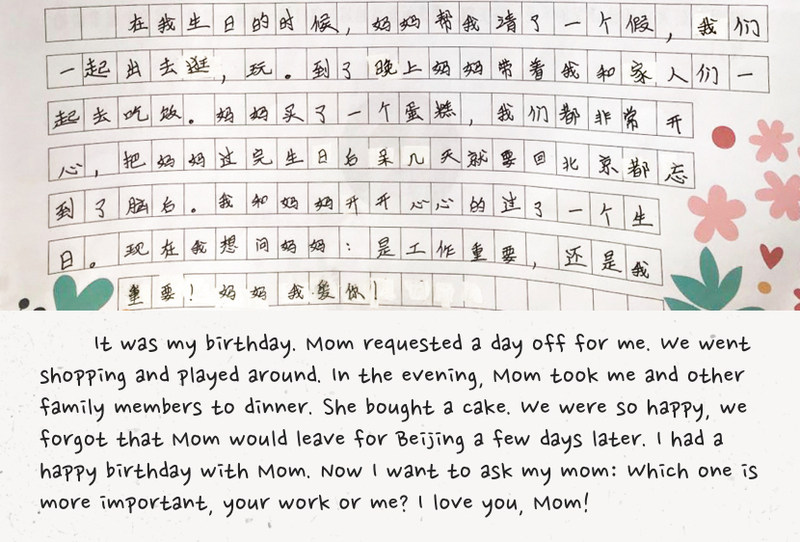 Although the children got along with him in less than two weeks, Guan found it difficult to communicate with them about their innermost feelings, especially about their parents. 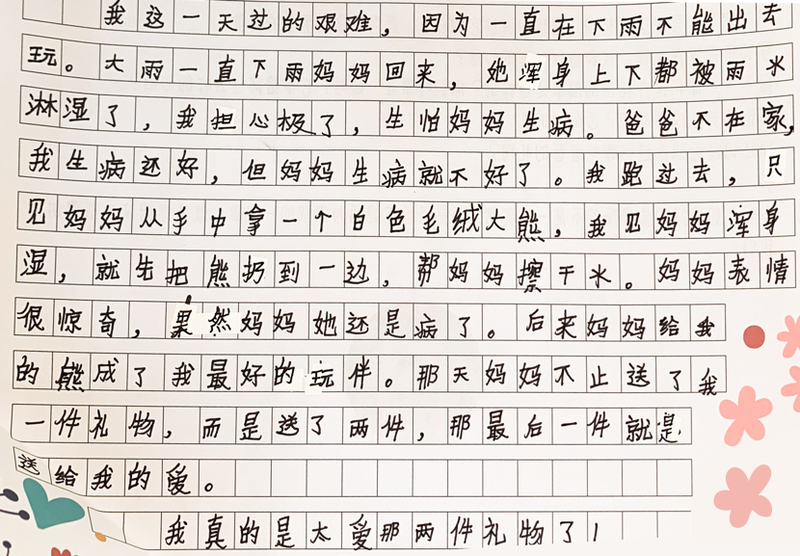 In his writing, he described a communication session for children to practice talking about family, when a confused student asked the teacher, “Can I not talk about it?” During the writing lesson in Jiangxi last June, a student in his class suddenly burst into tears. The uncertainty about the children’s feelings has been a weight on the teachers’ shoulders. “Children who are cared for by their grandparents tend to have more limited emotional interactions with them than they do with their parents, so some children become relatively more sensitive, and some introverted children may even become withdrawn,” says Shi, who takes part in other psychological assistance activities involving left-behind children. 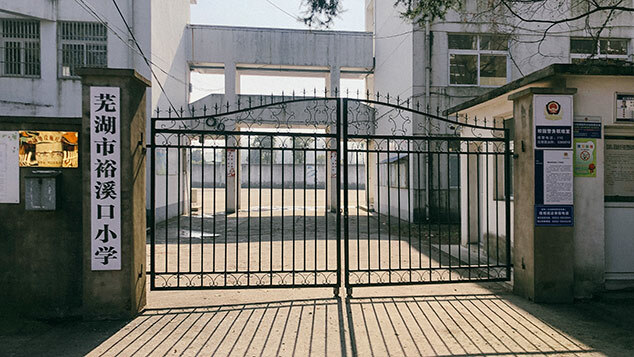 Although the Ministry of Education released guidelines on providing psychological counseling to primary-school and middle-school students in 2015, Shi says that many schools, especially those in rural areas and those that serve migrant children like Minren, often cannot pay for or even find psychologists. When the school bell rings, announcing the end of the 40-minute lesson, the students hand in their writing, put away their stationery, and rush to the school cafeteria to get their lunch. Only one student does not hand in his work. He stopped writing after just three lines. 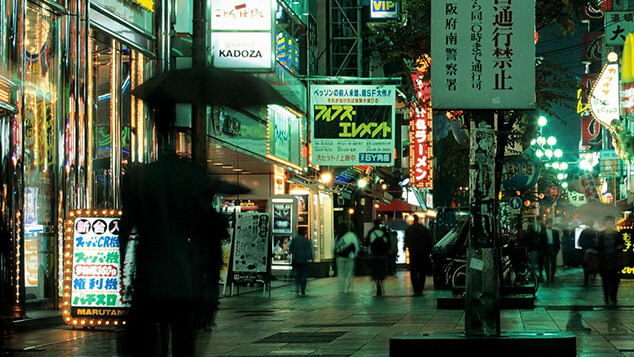 “I asked him whether or not his parents talk with him every day. He simply said they are busy running a supermarket,” says Shi. The students may feel awkward and uneasy to express their true feelings in the beginning, but later they will get used to seeing the positive side of their lives. In the afternoon, four students are invited to the front of the class to share their stories with all the pupils. When a boy tells the story about a pair of knitted wool shoes he received from his mother, he bows his blushing face close to the article and reads in such a low voice that back-row students can hardly hear him. 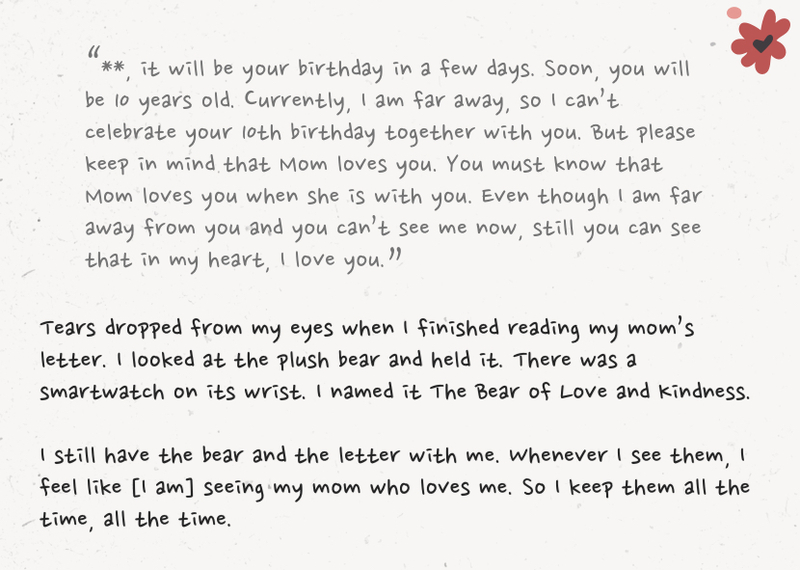 The rest of the students are told to write down their feelings while listening to the story, to make them aware of how their understanding of child-parent relationships might change.